Two potatoes wired to power a science toy clock broadcast a distressing message. 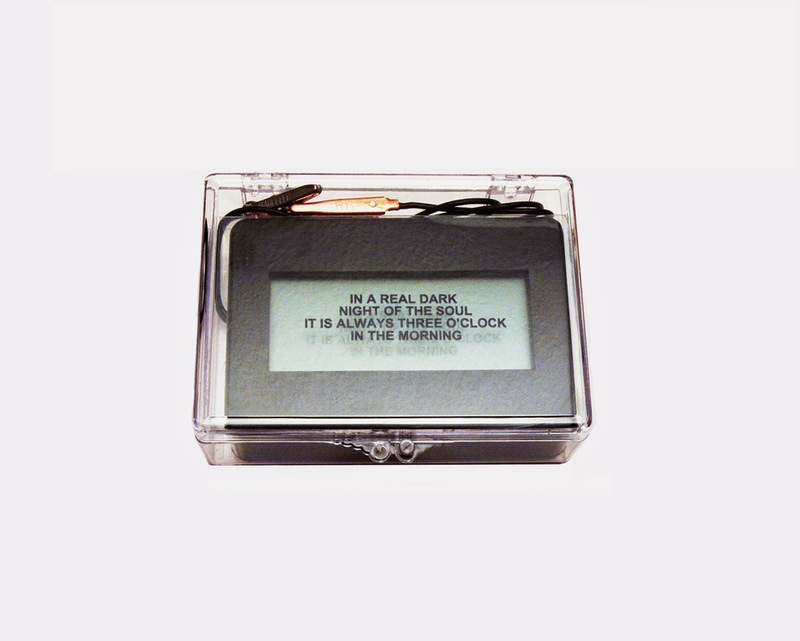 Packaged in a clear plastic box, the work includes the altered clock (a wired LCD screen, copper and zinc electrodes), extra nails and an instruction sheet. Potatoes are not included. The piece can be set up in under two minutes (unpacking video to follow shortly). Launching later this month at the London Art Book Fair and available now from nothingelsepress.com for $95.00 CDN. "Jon Sasaki’s multidisciplinary art practice brings performance, video, object and installation into a framework where expectation and outcome never align, generating a simultaneous sense of pathos and fun. His work employs reason-based approaches reminiscent of conceptual art while investigating romantic subjects; in this juxtaposition, Sasaki creates humorous, self-exhaustive systems caught in cycles of trial and error. 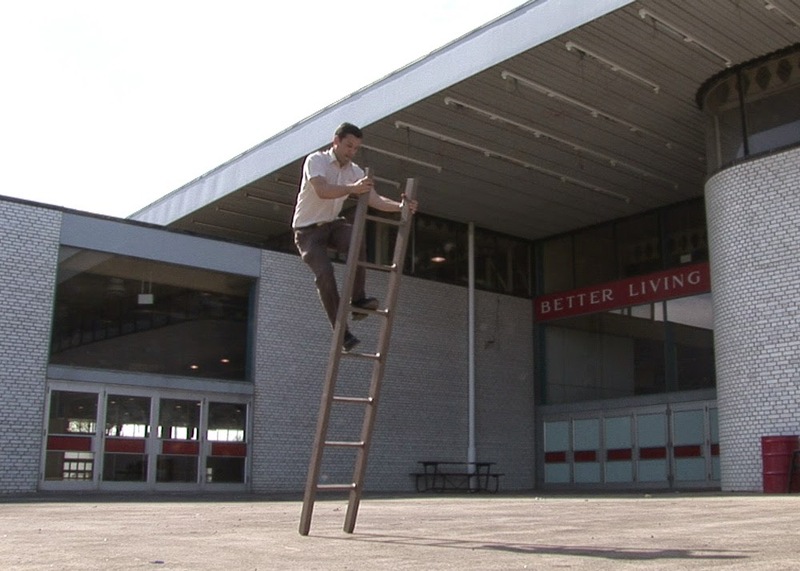 Throughout his performance-for-video works, Sasaki assumes the role of a somewhat naive everyman, performing Sisyphean tasks with a mildly uncomfortable, self-effacing positivism. Sasaki holds a BFA from Mount Allison University and he was an active member of Toronto/Vancouver–based collective Instant Coffee from 2002 to 2007. Sasaki has exhibited nationally and internationally, including solo exhibitions at Galerie Clark, Gallery TPW, the Art Gallery of Ontario and Latitude 53."